POMEROY — A man wanted for a break-in and theft of a vehicle in Meigs County was taken into custody in Mason County. Meigs County Sheriff Keith Wood reports that on June 8, Harley McDonald was taken into custody in Mason County, W.Va. by Sheriff’s Deputies and the West Virginia State Police. 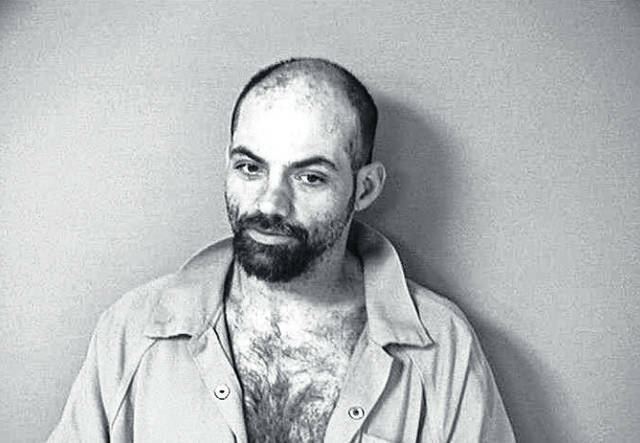 Harley McDonald was being sought after for the Breaking and Entering at Fox’s Pizza Den in Rutland, OH as well as stealing a vehicle in the Village of Pomeroy and cutting off his ankle bracelet from Meigs County Common Pleas Court. Sheriff Wood stated in a news release that his office received a tip of Harley McDonald being spotted at the Storys Run Gas Station along State Route 7 in Middleport. The caller stated Harley McDonald and an unidentified male were driving an older model red Ford truck that had logs in the bed of the truck. Deputy King, Deputy Campbell, and Sgt. Stewart responded to the area and were unable to locate the truck. Due to the information received, deputies believed that McDonald and the unidentified male were attempting to sell the logs in the area. Deputies received further information and believed McDonald to be headed to Mason County. The Mason County Sheriff’s Office located the truck leaving a logging business in Mason County and initiated a traffic stop on the vehicle along Route 2 in Mason County. McDonald initially refused to provide any information to Mason County Deputies however he did cooperate and was taken into custody without incident. McDonald has been extradited back to Ohio after going before a Mason County Judge and will face charges of Breaking and Entering, Theft, Receiving Stolen Property, Vandalism, Resisting Arrest, and Escape. A bench warrant for Failure to Comply was issued by the Meigs County Common Pleas Court for alleged failure to comply with house arrest by cutting off his ankle monitor.